​Family owned and locally operated since 1995, Lone Star Carpet Care and Restoration is the premier San Antonio carpet cleaning company which San Antonio families have trusted as THE carpet cleaning resource for almost 25 years. Founder, Paul Walker has over three decades of carpet cleaning and carpet repair experience, himself. Our San Antonio carpet cleaning technicians have been personally hand-picked and specially trained by Paul Walker. Our carpet cleaning and carpet repair technicians will not only offer you superior quality carpet cleaning and carpet repair service and expertise, they will treat you like family, offering honest, upfront, and affordable service you can trust. Lone Star is the choice for professional carpet cleaning and carpet repair in San Antonio. We look forward to serving all your carpet cleaning needs. 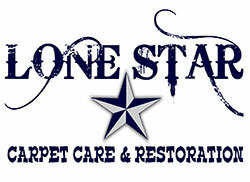 Give Lone Star Carpet Care and Restoration a call today! At Lone Star Carpet Care and Restoration, we are proud to offer honest, affordable, and transparent San Antonio carpet cleaning and carpet repair specials. We believe that quality San Antonio carpet cleaning services shouldn't be expensive. If you are looking for a great deal on carpet cleaning in San Antonio, carpet cleaning coupons, or affordable carpet repair in San Antonio or the surrounding area, Lone Star Carpet Care and Restoration offers some amazing values. Don't settle for some "cheap carpet cleaning deal" as they almost always end up costing you much, much more. At Lone Star Carpet, we offer amazing carpet cleaning coupons designed will provide most homes with the carpet cleaning they need. All the carpet cleaning specials below include a deodorizer and traffic lane cleaner for your high traffic areas . However, if there are some severe high traffic areas, stains, or pet damage that will require extra treatments and additional cleaning services to get your carpets clean. For berber carpet, add $10 per room. ​The carpet cleaning specials above are all include a traffic lane cleaner for your high traffic areas and a deodorizer. Carpet re-stretching special includes one area up to 160 square feet. One "area" is considered consecutive carpet that ends at the doorway or turn of the hallway. Prices do not include stretching of staircases, seams, transitions or furniture handling. Not all San Antonio carpet cleaners or carpet cleaning technicians have the same level of skill, training or experience. Don’t settle for the cheapest carpet cleaning deal in town. When it comes to your home and family, trust only the best carpet cleaners: Lone Star Carpet Care. Lone Star Carpet Care and Restoration is the best San Antonio carpet cleaning company. We are pleased to provide honest, transparent, and affordable prices which is why we post them right here on our website. In addition to being carpet cleaning experts, Lone Star Carpet Care is also the carpet repair experts and that’s why San Antonio families and businesses have trusted us with all their carpet cleaning and carpet repair needs for over twenty years. ​The truth is Lone Star’s carpet cleaning and carpet repair experience is unmatched in San Antonio. Our fleet is equipped with state-of-the-art truck mounted carpet cleaning machines along with the highest quality detergents, enzymes and eco-friendly chemicals available on the market. Lone Star Carpet Care offers professional steam cleaning (the hot water extraction method), full service carpet repair (including carpet patches, transition repairs, seam repairs, re-stretching and carpet stretching), upholstery cleaning, stain removal, odor removal, pet treatments, tile and grout cleaning, air duct cleaning and 24-hour emergency water extraction for water flooding in a home or business. Lone Star Carpet Care and Restoration has proudly provided carpet cleaning and carpet repairs to San Antonio and the surrounding areas for over two and a half decades. We proudly support our active duty military and first responders. As a thank you, we are pleased to offer military discounts and first responder discounts. So whether you need carpet cleaning, carpet repairs, tile and grout cleaning, or water extraction, give us a call at 210-609-9061 and we will be happy to provide you with an estimate. Whether your carpet is due for regular carpet cleaning and maintenance or requires a deep carpet clean, Lone Star Carpet Care has a carpet cleaning treatment plan especially for you. Our specially trained carpet cleaning technicians and hot water extraction carpet cleaning methods are the best in the industry. We realize that each customer and carpet is unique and that there is no "one size fits all" solution to your carpet problem. We are dedicated to providing a quality carpet clean just for you and your specific carpet needs. In fact, we will not accept your payment until you are completely satisfied with your service, nor do we require a credit card to secure your appointment. After all, you're not just a customer -- you're our neighbor: just one reason Lone Star Carpet Care and Restoration is celebrating over 20 years in business in San Antonio. 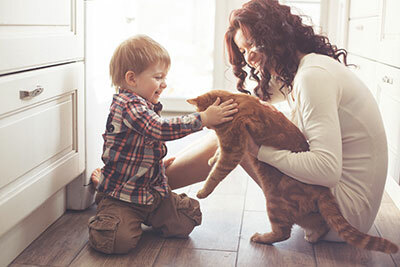 Whether you have stains, discolored traffic areas, pet odors, pet stains, pet damage or are just looking to reduce allergens, clean and sanitize your carpet, Lone Star has a carpet cleaning solution to your dirty carpet problem. With professional carpet cleaning services starting at only $89 for 3 rooms, it's no wonder that Lone Star Carpet Care has been San Antonio's carpet cleaning expert since 1995. Let us restore your dirty carpet to its original beauty and brilliance. Make stains a thing of the past. Revel in the comfort of a clean home, thanks to our state-of-the-art carpet cleaning techniques. Lone Star Carpet Care is San Antonio's carpet cleaning experts for any commercial or residential carpet cleaning job you might need done. Of course, you don't have to wait for a nasty spill or a hot mess before calling us. We're not just here to help you fix a big problem – we can also freshen up any surface in your home or business and make it look and smell better. Spilling something on your carpet can often seem like the end of the world. Well, the world will still be around afterwards, but your carpet might not... Unless you choose the best carpet cleaners for the job. Why is Lone Star Carpet Care and Restoration the best in the Carpet Cleaning Business? It's a simple matter of taking seasoned carpet cleaning professionals with years of experience cleaning the great indoors, and combining them with state-of-the-art cleaning machines. The technology we use isn't just out of reach to the average Joe – many professional carpet cleaners don't have access to the equipment we use. When hiring us, you'll never have to worry about outdated methods being used to clean your precious surfaces. Another aspect of our work that we take pride in is not limiting our services to a strict San Antonio area. While other professional carpet cleaners might limit their scope, we felt people from surrounding areas deserved our top-notch and reliable service just as much as the San Antonio locals. So, we also send our cleaners out to places in the greater San Antonio area like Leon Valley, Converse, Stone Oak, Helotes, Schertz, Cibolo, Fair Oaks Ranch and Boerne – these are just some of the places we cover. If you're adjacent to San Antonio in any way, you won't have to search for a carpet cleaner in your area – just give us a call and we'll be happy to buckle up and make the road trip! The majority of our clientele comes from the great city of San Antonio. The city's size and diversity of customers allowed us to gather a tremendous amount of experience – regardless of how crazy your situation is, we've likely already dealt with it. In the span of a single day, we'll get requests for immediate assistance by clients who are essentially polar opposites. In the morning, we might find ourselves helping corporate clients polish the hallways, offices and conference rooms in their headquarters to perfection, mere hours before they try to seal a business deal on the same premises. Later on, we might be helping a single mother of four whose children and pets left some crazy stains that made her panic. We do it all, we do it quick and we do it professionally. When we're not in the San Antonio, we're making trips to any nearby area that requires efficient cleaning of carpets or any indoor surfaces. If you're not satisfied with your current local carpet cleaning company, feel free to give us a call and we'll arrange a visit. Bringing cleaners from outside of your town might seem like a hassle, but rest assured that the hassle of an improper job done in your home is much less bearable. Just as we strive to provide services across a wide area, we also look to do everything we can for our clients' homes. Sometimes, our customers are surprised to find we go above and beyond merely cleaning fabric. The simple truth is that we are committed to making people's homes and workplaces squeaky clean and pleasant, regardless of what needs to be done. Our services are some of the most expansive you'll find from any cleaning company. We like to think of ourselves as a one-stop shop for anyone needing carpet cleaning. When our clients give us a call, we want them to know that we'll take care of their home or place of work in any way they need us to. To accomplish this, we had to dedicate ourselves to filling our ranks with the best, most knowledgeable and experienced carpet cleaning professionals in the business. We're pleased to say that we have reached the point we've been gunning for – a company that never has to send their clients elsewhere, and one that didn't have to make any compromises in terms of quality of service to get there. You might be wondering: how extensive is our line of carpet cleaning services? We do just about everything related to carpet, upholstery and tile cleaning. Read on to see some examples of the work we do, but keep in mind that the list is far from complete – if you need carpet cleaning, tile and grout cleaning, upholstery cleaning, pet odor removal, or carpet repair help, we more than likely have you covered. Carpet repairs are a skill that not all carpet cleaning technicians possess. In fact, most people agree that good carpet repairs are an art form that takes years to perfect. The specially trained carpet cleaning technicians at Lone Star Carpet Care and Restoration are masters in their craft. In fact, it's been said over and over that our carpet repairs are so amazing that you may think we're magicians. Just take a look at our many before and after carpet repair photos in our photo gallery which speak for themselves. We believe that a good carpet repair shouldn't have to be expensive. We pride ourselves in providing honest prices for quality work and because we are from San Antonio and have no middleman like some carpet repair companies, we can offer the most competitive prices in the industry for the superior carpet repair work. From carpet patches, to carpet re-stretching, seam repairs, transition repairs, pet damage and more, Lone Star is your is the solution to all your carpet repair needs. For a detailed list of carpet repair services, please visit our carpet repairs page. The mere thought of replacing your favorite carpet can be a difficult one. The reasons can vary greatly: it might be an ultra-expensive carpet that cost you thousands of dollars, or it might be that you really like your existing carpet. Whichever the case may be, it's likely you want to explore every option before deciding to throw your trusty carpet out. But what choice do you have if the carpet is cracked, burned or otherwise damaged? Don't give up on it just yet – there might be something we can do to bring it back to life... Carpet repairs are yet another example of our extended services. While we are primarily a cleaning company, we are just as apt at improving the appearance of your home in other ways. We're well-versed in multiple methods of repairing a carpet, depending on the type of damage and its severity. Transition repairs and installation, to include: tack strip, z-bar, nap lock and more. 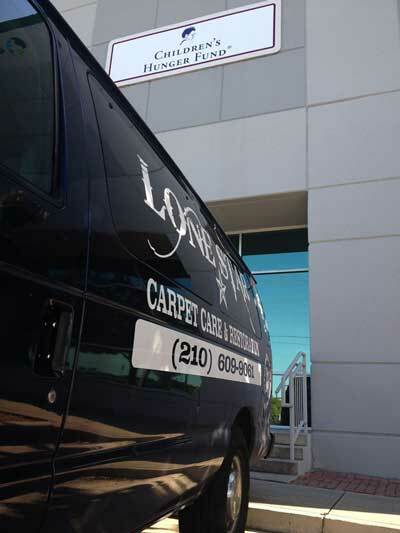 Lone Star Carpet Care is known for our amazing carpet repairs. Our customer feedback reflects just a small percentage of the many happy San Antonio carpet repair customers that we have served over the past two decades. Many of these carpet repair customers were certain that their carpet was beyond all hope of repair. In fact, some had even been told by other carpet repair companies that their repair simply could not be done -- then they found Lone Star Carpet Care and Restoration and gave us a call. Time and again, we hear that our carpet repairs are so amazing that we must be magicians, but there's no mystery behind these miracles – as with everything else we do, it's all about bringing together our decades of experience and unparalleled skills. Lone Star Carpet Care has been the number one choice for San Antonio residential carpet cleaning for over 20 years. We apply that same attention to detail, knowledge, and superior customer service to Commercial Customers as well. Lone Star Carpet Care is an industry leader in providing commercial carpet cleaning and commercial carpet repairs for San Antonio businesses. Our knowledge of glue-down, commercial grade, and specialty commercial carpeting has made us the carpet cleaning and restoration resource for restaurants, offices, attractions, entertainment venues, hotels, and more. ​When you're in businesses, your carpet takes a beating with heavy traffic stains, and spills. First impressions are also key in creating a positive image for your business. So, whether you need routine carpet cleaning maintenance, dry cleaning, or commercial carpet repairs -- you can rely on Lone Star Carpet Care and Restoration for your business' carpet needs. For more information our San Antonio commercial carpet cleaning services, visit our commercial carpet cleaning page. Not only is Lone Star Carpet Care San Antonio's choice for San Antonio carpet cleaning, but we're also San Antonio's choice for tile and grout cleaning. 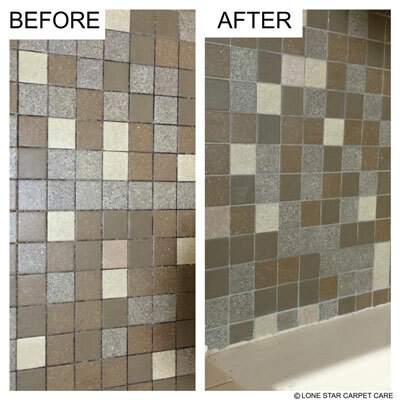 In fact, when it came time for a major San Antonio hospital chain to clean, sanitize, and restore the bathroom tile in all their patient rooms - they called Lone Star Carpet Care. Tile and grout is notoriously difficult to clean and mold, mildew, dirt, and germs can hide deep within the pores of your tile and grout. Lone Star Carpet Care's superior tile cleaning methods not only clean but sanitize your tile and grout -- restoring your tile to its original beauty. Don't let dark and dirty tile and grout detract from your home or comprise your health any longer. Call the tile and grout cleaning specialists today or schedule online via the Appointments link. For more detailed information on our superior tile and grout cleaning, acid washing, and tile sealing services, please view our Tile and Grout Cleaning page. Tile and grout cleaning is an example of our extensive range of services that we are happy to offer to anyone needing that extra touch of cleanliness. Tiles in bathrooms and kitchens can both be problematic to clean. These household areas are prone to spills, ranging from dropped food to limescale. Grout – the material used to connect individual tiles – can get dirty and discolored surprisingly easy, needing a different method of approach than tiles themselves. Many consider the primary purpose of tiles to be an aesthetic one, yet they will struggle to fulfill this purpose without proper care. We will restore your tiles back to their initial shiny state, and we'll pay special care to how we accomplish this – DIY tile cleaning methods are known to often compromise the delicate surface material. As for grout, we'll evaluate the severity of the situation and decide whether a replacement is necessary. By the time we're done, you'll want to invite people over just so they can check out your kitchen and bathroom. Stains on upholstery are a lot tougher to deal with than those on a piece of clothing fabric. With most forms of upholstery being 'bound' to your furniture, your upholstery cleaning options become very limited, and it's likely you won't be able to do the job on your own. Fortunately, we are here to make your furniture look as close as possible to the way it did when you first bought it. We'll use specialized machines to get those tough stains out, remove any odors and make any piece of furniture inviting again.Of course, we won't leave out any part of your furniture. We can polish the wood, metal or plastic, repair the scratches and do a complete job that will make you glad you didn't throw out that struggling armchair and couch. Afterwards, we'll instruct you on the steps you can take in-between our visits to maintain your furniture and minimize the risky situations it's placed in. Pets are great to have around, but not so great once they decide to mark their territory inside your home. Sure enough, this creates a stain, but with enough scrubbing and blotting, you might be able to rid yourselves of it, for the most part. The pet odor, however, is another story. Anyone who's ever owned a pet knows that pet odor, especially when ingrained in fabric, has an uncanny ability to resist any treatment that the home owner can think of. It's not just the stubbornness, but also the longevity - pet odor can stick around for many long months if a surface wasn't cleaned properly. This doesn't just prevent you from relaxing in your own home, although that's bad enough already – other people can easily take notice and feel downright disgusted, even if the situation is out of your hands. 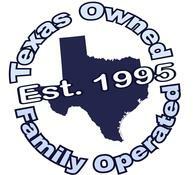 Lone Star Carpet Care and Restoration has helped home and business owners deal with pet odors for 20 years. We know all the ways of dealing with that persistent smell, regardless of the surface and how it came to be – contrary to what you might imagine, we don't just get requests for assistance by people whose pets made a mess. Dogs can sometimes leave a surprisingly unpleasant odor on fabric just by rubbing themselves in it or drooling all over it. In fact, it's possible you've gotten used to it and aren't even aware of how other people experience a visit to your home. When it comes to dealing with pet odor, we believe in a one-two punch system. First, we'll use special devices and chemicals to get everything causing the odor out. Then, we'll deodorize the area, making bad smells a distant memory. No matter the severity of your problem, we're ready to tackle it and leave your home smelling like a garden.